The rise and fall of the most violent and powerful Indian tribe in American history. If you’ve never heard of the Comanches, you’re not alone. And even if you recognize the name, you’re most likely unaware that they were the most militarily dominant Indian tribe on the Great Plains, controlling the better part of five states: Texas, New Mexico, Colorado, Kansas, and Oklahoma. Nor are you likely to appreciate how the five major Comanche bands—the Yamparika, Kotsoteka, Penateka, Nokoni, and Quahadis—controlled the American West and played a pivotal role in determining how and when the frontier opened up to development. In the new book “Empire of the Summer Moon” (Scribner), author S. C. Gwynne aims to acquaint readers with the Comanches, as well as their last and most powerful chief, Quanah Parker. While the focus of the book is squarely on Quanah and the life story of his white mother Cynthia Ann Parker—who was kidnapped by Comanches at nine-years-old and integrated into the tribe—it’s also filled with countless compelling subplots, including the creation of the Texas Rangers, the advent of the six-gun, and the exploits of surprisingly obscure but exceptionally successful Indian fighters like Ranald Slidell Mackenzie and John Coffee “Jack” Hays. Of course, one needn’t be familiar with the story to recognize that things ended badly for the Comanches, defeated in a brutal four-decade war that delayed but failed to stop westward expansion. Earlier this month I interviewed Gwynne about this gripping slice of American history, which seems ideal fodder for a major motion picture. They first we know of them they lived in the Wind River mountains of Wyoming, at which point they were a tribe of no particular distinction. Even among primitive hunter-gatherer tribes they were primitive. But sometime in the seventeenth century they got hold of Spanish horses and something extraordinary happened. Horses enabled them to become the most militarily dominant force on the Great Plains. And as they gained power they swept southward, nearly exterminating the Apaches and driving the Spanish backward. By the time the white man encountered them in Texas they controlled a 250,000 square mile territory—with twenty vassal tribes. What did Comanches look like? Comanches were not physically attractive; they tended to be short, heavy, and barrel-chested. When they weren’t on horseback they were clumsy and not particularly graceful. But on horseback they became downright imposing. What kind of mistakes did whites make when fighting Comanches? If you’re talking about the very first contact there were lots of mistakes. Whites were ill equipped to deal with a mobile, mounted foe like the Comanches. Also, whites didn’t understand horse warfare. They failed to take care of their horses to make sure the Comanches didn’t stampede them. 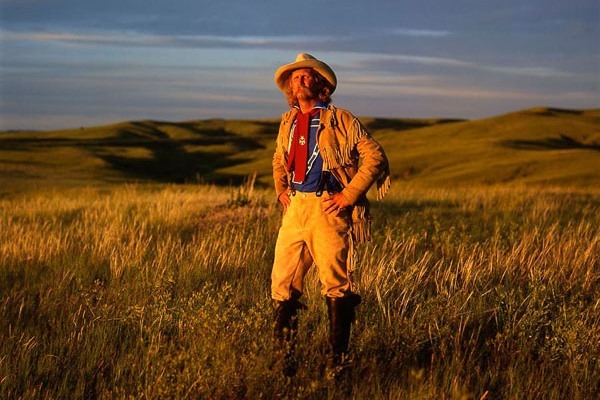 If you were out beyond the frontier without a horse you were pretty much dead, which is one of the reasons that horse thieving was generally punishable by death among white society. What fighting tactics were effective against the Comanches? The smartest of the white commanders figured out that Comanches were deeply tradition bound and if certain things happened they would be—to use a modern term—spooked. Particularly the death of a chief, which was seen as the failure of the chief’s medicine. Earlier you mentioned that the Comanches caused considerable problems for both Apaches and the Spanish. Can you talk about the San Saba Massacre and why was it such a disaster for Spain? It’s one of the great stories of the Old West—the first real battle between Comanches and Europeans. What happened is that the Apaches—who had been driven down into the borderlands north of Mexico—came to San Antonio and went to the Spanish padres there and told them they wanted to be Christianized and part of the Spanish empire. They somehow convinced the Spanish that they were sincere, and the Spanish built an elaborate mission and presidio out in San Saba [in west central Texas, about a hundred miles from San Antonio], which they claimed was part of their homeland. What’s funny about it—in a grim way—is that the Apaches were not at all sincere. What they were trying to do was to get the Spanish to erect a fort and a mission on the lands of the Comanches. When the Spanish got there, the Comanches showed up and made them one of the more famous massacres in the history of the west, which led to a punitive expedition against the Comanches in North Texas, where the Comanches handed them the greatest defeat in the history of the Spanish empire in the Americas. It was a cruel deception foisted upon the Spanish by the Apaches, after which the Spanish were never again a threat to the Comanches in North America. Who was Don Diego Ortiz de Parrilla and did he deserve the blame for the massacre? He was the individual the Spanish appointed to be the point-person in San Saba, and he was a competent guy. He suspected all along that the Apaches weren’t sincere, but later he was disgraced for what happened. What role did Indian scouts play in the destruction of the Comanches and Plains Indians in general? In almost all cases, the blue coats—if they had any success at all in the west—had Indian scouts. If they didn’t have Indians scouts they had almost no chance of finding Indians anywhere. There were a few white men like Kit Carson who had the ability [to track Indians], but most didn’t. One of the things that contributed to the destruction of the Comanches is that they had been so warlike and so fierce for so long that they had driven many tribes off their land, so there were plenty of Indians—particularly Tonkawas and Apaches—who were more than happy to serve as scouts. Tell me about John Coffee “Jack” Hays. Like the Comanches, he hasn’t been well remembered by history. One of the great revelations to me—and I hope to people who read the book—was Jack Hays. He should be a household name. He was one of the most brilliant commanders in American military history. He was the first great Indian fighter on the Plains. His original job was as a surveyor, and Indians hated surveyors because they thought—correctly—that surveyors stole land. Hays developed a reputation as a guy who could protect his men. And this was how the Texas Rangers started. Hays was one of the first, and certainly the greatest of the Texas Rangers. The stories of his astonishing feats against Mexicans and Comanches are legend in Texas. But even though Hays was a brilliant commander, he still had a tremendous firepower disadvantage. A Comanche could shoot 20 arrows in the time it took a Ranger to reload a rifle. But an easterner named Samuel Colt had an idea for a revolving chamber pistol. And sometime in the 1840s, these pistols came into the possession of Rangers, who realized it was the weapon they were looking for. They gave the weapon its first test at the Battle of Walker’s Creek in 1844, an obscure battle that was the transformative battle of the American West. It’s curious that Colt didn’t meet with immediate success, despite his revolver’s effectiveness on the battlefield. At the time of the Battle of Walker’s Creek he was bankrupt and the plans for his gun had already been lost. Ultimately he got together with his friend Eli Whitney to sell revolving pistols to the U.S. Army. Another irony is that Ranald Slidell Mackenzie remains unknown while George Armstrong Custer is known to everyone. I argue that Mackenzie was the greatest Indian fighter. He was the one Crazy Horse surrendered to, he was the one sent north to destroy the Cheyenne, and he quelled the Ute revolts in New Mexico. Mackenzie was obscure in victory and Custer was glorious and eternal in defeat. Tell me about Quanah Parker. Not only was he the greatest Comanche chief, it seems he was exceptionally successful at adapting to the white man’s world. 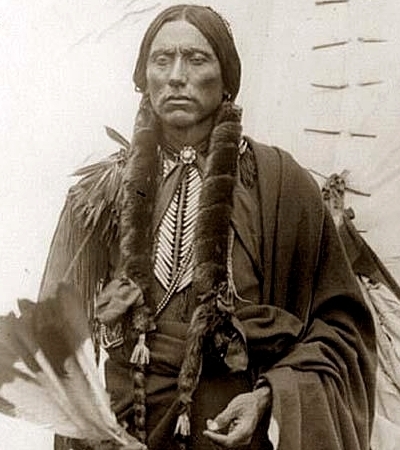 Quanah was arguably the most successful and influential of all the Indians of the reservation period. He was the toughest fighter, and he burned very hot for revenge against the white man, who had killed his father and kidnapped his mother. But at the time of his surrender he made a change and decided he was going to follow the white man’s road. He outfoxed the white man at his own game of cattle leasing and all the corruption that surrounded it. Indian Summer—The quiet revival of native America. The Bell Witch—The enduring legend of Adams, Tennessee’s Bell Witch. 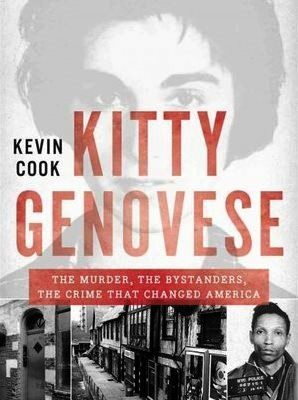 Kitty Genovese, 50 Years Later—The murder, the murderer, and how erroneous reporting by the New York Times inspired a sociological theory known as the Bystander Effect—aka Genovese Syndrome.